Looking for unique and organic wedding favours? This is the one shop you must go to! Gone are the days of handing out standard mithai ke dabbe at weddings! The wedding space is all about elegant, creative and unique favours. And organic / eco-friendly favours are totally high up on that list! So what we have for you today is an exclusive all-you-need-to-know feature on Organic Harvest and why we think they’d make ideal wedding favours! 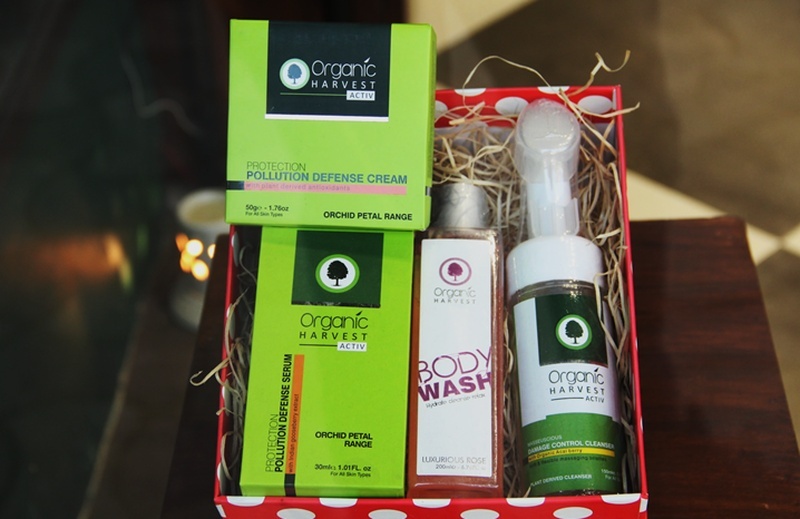 A bath, body and hair care brand that focuses on provided organic, skin-friendly products. Their products are derived from plants grown without chemical fertilization, herbicides and pesticides, making them completely natural and non-synthetic! Why Organic Harvest products as wedding favours? SO much more unique than a box of sweets. Totally functional gifting that people can use multiple times! Skin-friendly products that your guests will love. They have stores in Mumbai, Delhi, Punjab, Dehra Dun, Bareilly and Surat. Moon of Taj: Creative Wedding Favours with Taiwanese and Indian Blend!